Buying too small of a mattress is one of the biggest mistakes that new bed buyers make. Below are some recommendations that buyers should take into consideration when purchasing a new mattress. Crib – This is the standard mattress size for most cribs for infants and toddlers. Twin mattresses – These are the smallest possible mattress size for adults and may be too short for some adults, especially men. Full size mattresses – are only enough space for a single sleeper and only if the person is under 5 feet 5 inches tall. Queen mattresses – Queen size is a good choice for guest rooms or smaller master bedrooms. As a frame of reference most standard hotel rooms have queen mattresses. It’s a really good balance giving you plenty of sleep surface but also plenty of room leftover in a smaller bedroom. 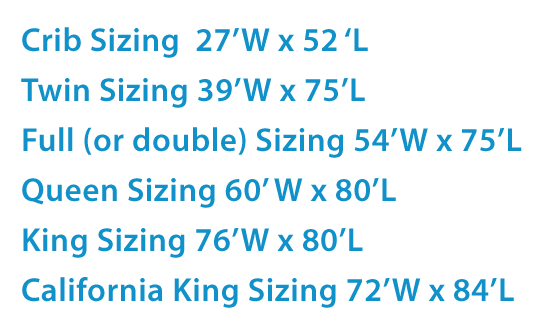 King mattresses – are about 18 wider than a queen mattress. Two twin extra long mattresses pushed together make a king size mattress. This is the perfect mattress for couples or for people that just like to spread out and have plenty of room to move around. 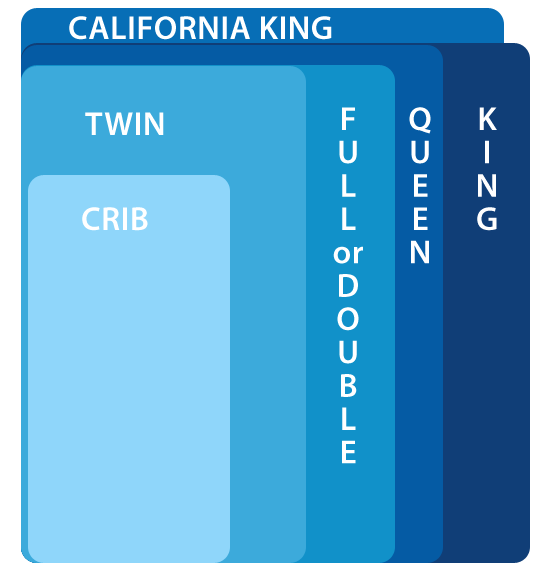 California King mattresses – Are 4 inches narrower and 4 inches longer than a regular King size mattress. This mattress fits well in many older water bed frames. You might need a new mattress! Come on down to Discount Mattress on Clinton Hwy and let a team with more than 20 years of experience in mattresses and sleep products help you realize the value of a good nights sleep.